Mahoney Field is part of the Lincoln Parks and Recreation, and has a total of 4 baseball/softball fields. Mahoney Field has a seating capacity of 50 per field, and also has 200 stalls of parking. Mahoney Golf Course is a beautiful 18-hole, par 70, championship golf course that is laid out over 6,459 yards. 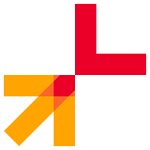 The course provides a fun and exciting experience for all skill levels. Mahoney was built in 1976 and designed by Floyd Farley. Hosting golf events such as the Nebraska Open and State Golf Championships and being recognized by the Omaha World Herald as “Hall of Fame Hole” for hole #8, Mahoney is proud to offer a course that is enjoyable to all. Nebraska Game and Parks Outdoor Education Center is a unique combination of shooting range and education center. It is available to help young and inexperienced shooters develop their shooting and archery skills, as well as to provide veteran shooters with advanced instruction. The Outdoor Education Center offers an indoor firearm range and indoor and outdoor archery ranges that are open to the public. Additionally, the center offers archery and firearm classes and workshops for both youth and adults, as well as day camps, Hunter Education classes and special events. The center is available for birthday parties, corporate events, and other private events, and offers two classrooms for rental. Call the center for details. The Nebraska Wesleyan University baseball team moved to its new home facility in 2004 at Nebraska Wesleyan Field, which is part of the Kiwanis Baseball Complex at 31st and “J” streets (west of the Woods Park Tennis Center). 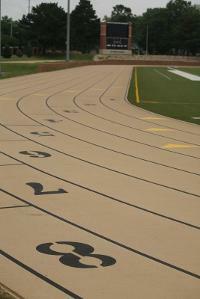 Nebraska Wesleyan University's Greeno Track is an eight-lane, all-weather track. Named in honor of the legendary coach Woody Greeno, the track was completely renovated with a new Mondo surfacing in 2010. 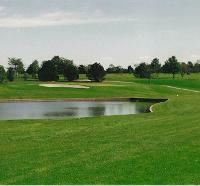 NuMark Golf Course is a 27 hole public course located in southeast Lincoln. The clubhouse overlooks the three par 36 courses with the Red to the north, White to the east, and Blue to the south. The original 18 holes were built in 1993, with another 9 holes opening in 2001. For the Safety and Enjoyment of All of our Guests we must have a few rules. Compliance is Mandatory and Expected! There are NO pets, absolutely NO alcohol, NO tobacco or taboccao-related products, NO vaping or related products, and please no 'wheels' (scooters, bicycles, roller blades, etc). Concession Income provides funds to operate the Sports Complex. Absolutely NO outside food and beverages may be brought into the Park! Parkway Lanes was established in 1959 and has enjoyed decades of great bowling in Lincoln, Nebraska. We are proud to host some of the original leagues of Lincoln! Pine Lake Golf and Tennis is a 9 hole par 3 golf course, measuring just under 1400 yards. The course has slight elevation changes throughout the property and hundreds of mature trees lining it. The longest hole stretches to 185 yards with the shortest measuring 105 yards. Pine Lake is the perfect place to work on skills with your irons and your short game. The course offers a fun challenge to all skill levels, from the beginner to the scratch player. Pinnacle Bank Arena is an indoor facility in the West Haymarket district of Lincoln, Nebraska adjacent to The Canopy and the new home of the University of Nebraska Cornhuskers men's and women's basketball teams. With a seating capacity of roughly 16,000, the arena is a state-of-the-art multi-purpose venue that offers year-round entertainment, including concerts, family shows, touring acts and sporting events.